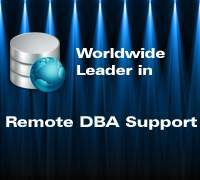 Outstanding Oracle RAC DBA assistance. Oracle Real Application Cluster environment requires HA feature of Oracle. 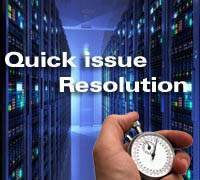 Large Oracle RAC database and 24/7/365 running RAC databases are more difficult to manage. Oracle RAC specialists are not easily available in global market. Oracle RAC database servers need special care of Database administration. There are lots of expertise and depth knowledge needed to maintain Oracle RAC databases. 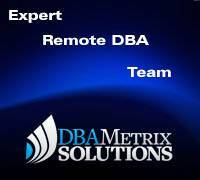 Expert remote DBA team of Dbametrix Solution offers high value of Oracle RAC DBA support services for managing daily database administration tasks and special tasks like adding and deleting nodes from Oracle RAC environment. We are covering Oracle 11g RAC, Oracle 10g RAC, Oracle 9i RAC for remote Oracle RAC administration and remote dba services. Administration & Deployment of RAC. Administering Oracle Clusterware components like Voting Disk and Cluster Registry. Adding and Deletion of Nodes & RAC Instances. 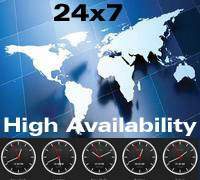 High Availability Using Oracle Clusterware. 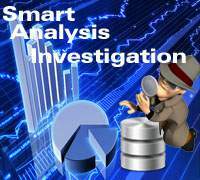 Oracle RAC Database Performance and Tuning issues. Oracle RAC Database Backup and Recovery Solutions. Oracle RAC servers Automated Monitoring. Oracle RAC Database Capacity Planning Reports. Automated Oracle RAC critical Alerts. Oracle RAC Upgrade and Migration. Dbametrix's Oracle RAC specialist DBA team has solid understanding of application transparency and failover configuration which is important element of Real Application Cluster concept. Disaster Recovery planning and deployment of RAC DataGuard for maintaining HA feature of Oracle RAC is the major database services of RAC configuration support remote services of Dbametrix Team. This database services are including Oracle 11g RAC and Oracle 10g RAC installation and troubleshooting. 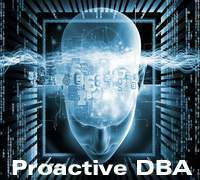 Dbametrix offers high level Remote Oracle RAC DBA support services to client for achieving HA concept with transparent failover features. Contact sales team of Dbametrix, for more detail of Oracle RAC database services. Off course, Oracle RAC environment is very critical while running with 24x7 large database. Expert remote dba will be able to manage this kind of environment. Oracle RAC requires high expertise in Oracle database administration and system knowledge. It is not so easy to manage especially in critical situations. Let's provide your requirement for getting best quote!